– All engine work undertaken by professional technicians. 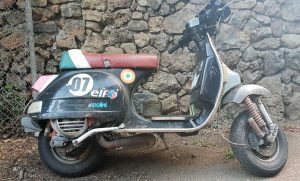 – 11 Litre long range fuel tank with built in header. – Rego on hold, but new WOF at time of sale. 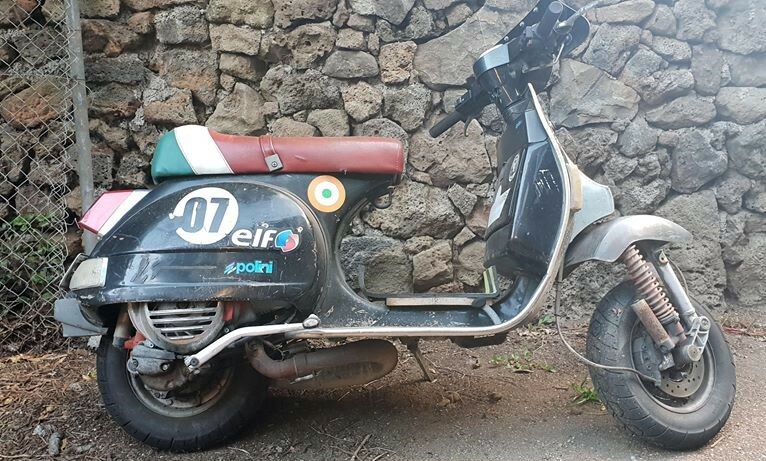 Michael had decided to call it a day on owning this scooter and was offering it for sale, along with another similar scooter. Both scooters were part of a winning Motoretta team and Michael is a well known, competitive scooterist with a long history in all things scooter related. 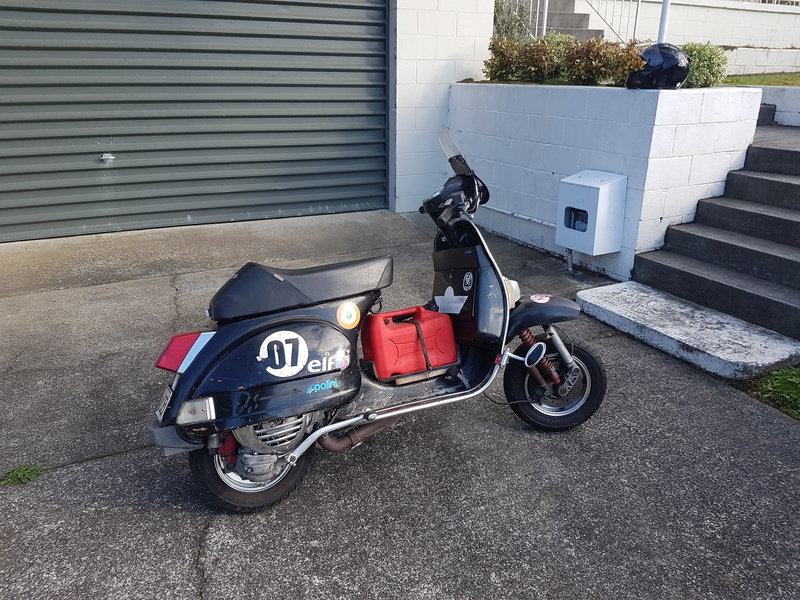 It would arguably be one of the most recognised scooters around the traps, here in New Zealand and has always been a fast and reliable touring machine. With the Motoretta TT fast approaching and not being able to spend enough time in the shed on projects, the decision was made to purchase it and send it to Wellington. Over the years I have been really fortunate to have met and made some awesome friends in the NZ scooter community which has allowed me to participate in events all over this country and in the UK. 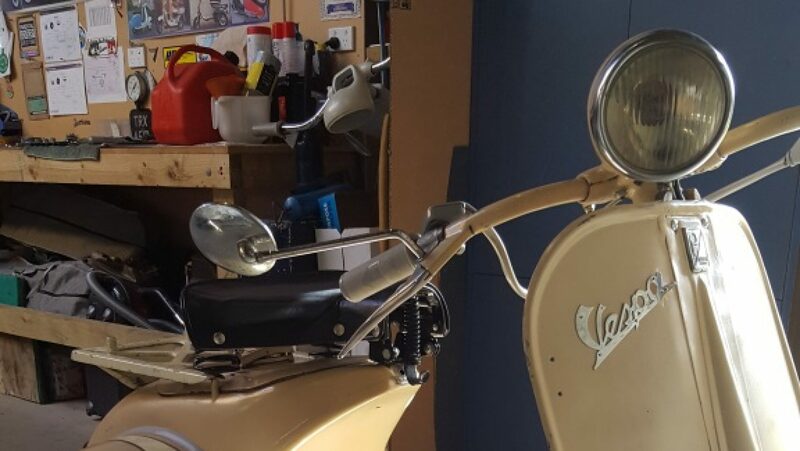 Thornton and Mike have both been instrumental in helping me to get a scooter ready for the next Motoretta event, set to start from Taupo, later this month. 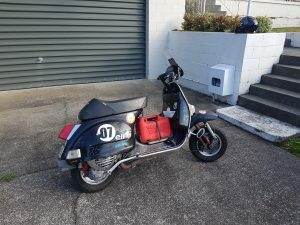 This scooter was a no brainer purchase for me and I have only changed a few things on it and now after riding 700 kms from Wellington to New Plymouth and back, has so far confirmed it to be, a fast and reliable tourer.